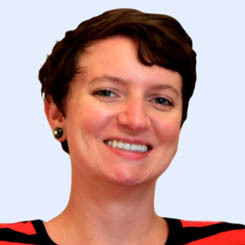 Anna Kelly is a senior analyst with The Cadmus Group, where she consults for electric and gas utilities on their energy efficiency conservation potential. Anna performs research on cost effectiveness for energy efficiency, conservation measures, and strategic energy management for industrial customers. While a graduate student at OSU, Anna studied opposition to large scale renewable energy developments and hybrid energy systems. In her free time, she regularly hosts and acts as Dungeon Master for her Dungeons and Dragons campaign.